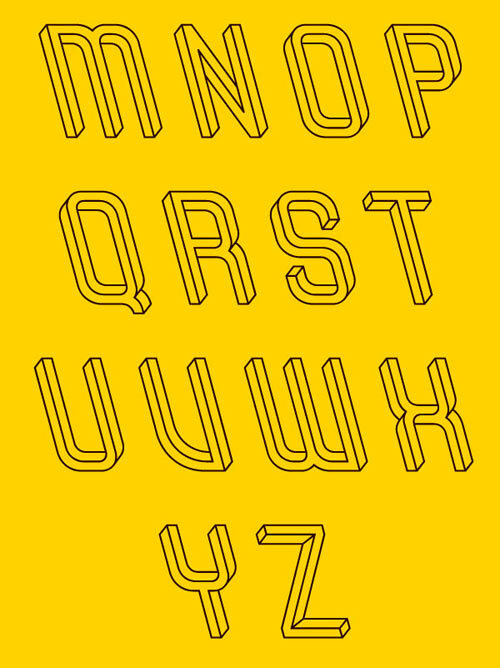 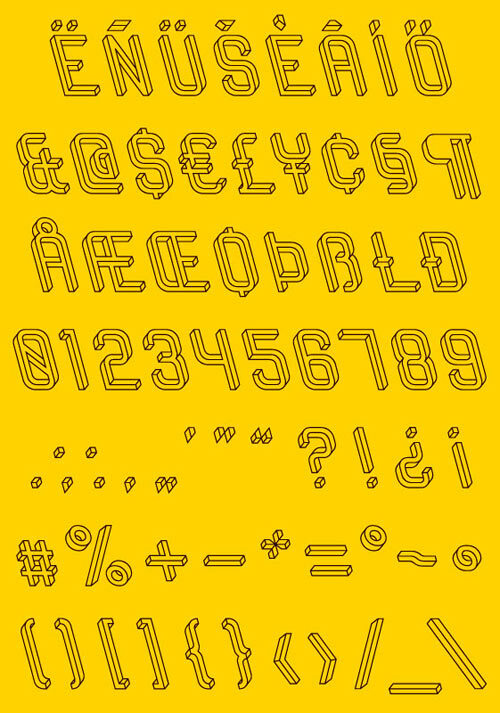 Hungarian designer Martzi Hegedus created the Frustro typeface that was inspired by the Penrose triangle. 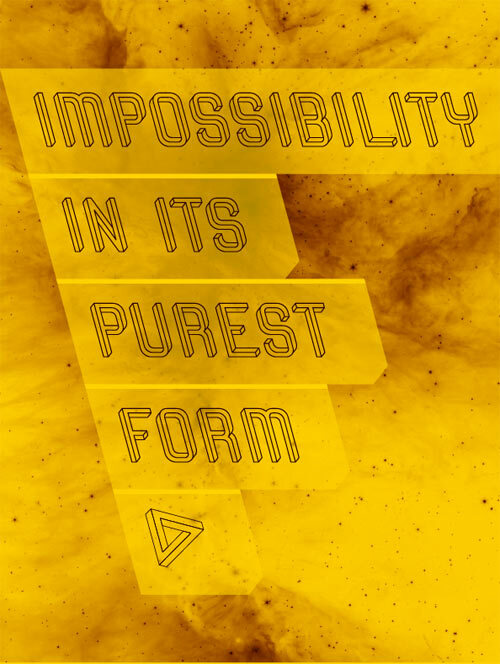 The Penrose triangle is what’s called an impossible object, or described by the mathematician that it’s named for as “impossibility in its purest form.” M.C. 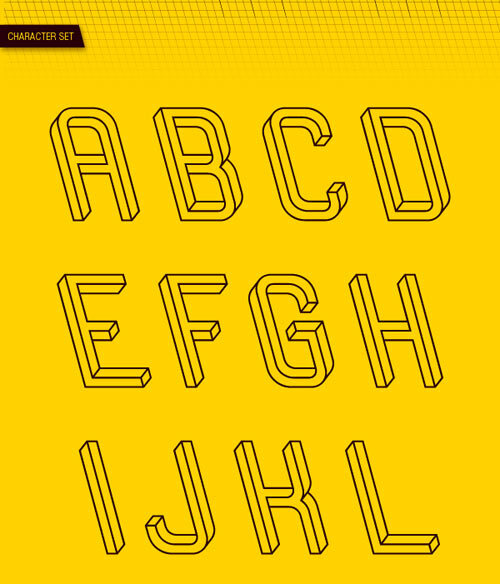 Escher used it a bunch in his work. 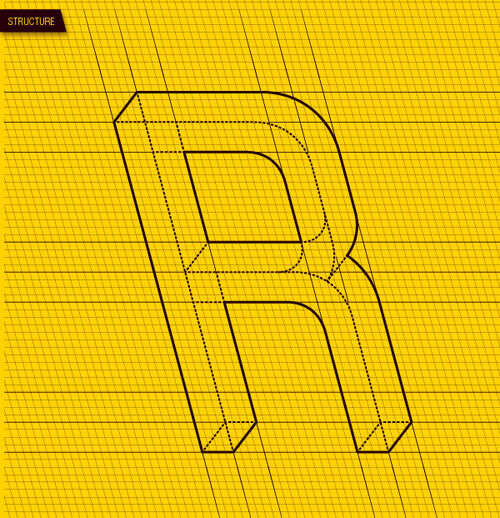 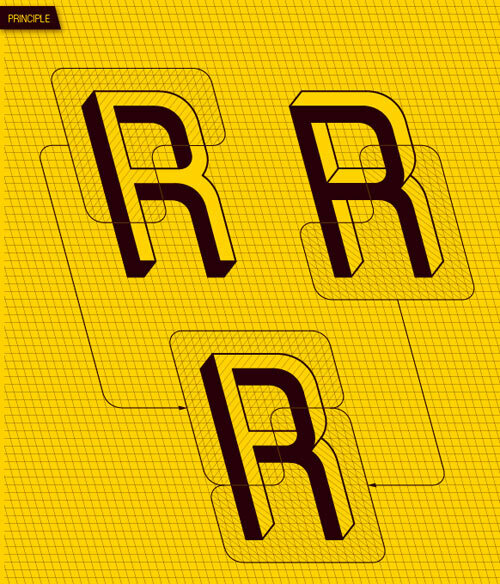 You can see from the “R” example (above) how combining the two top layouts formed the bottom “R” which has characteristics of the Penrose triangle.